Amy Poe, MA in Physics (Oregon State University) and BA in Spanish (University of New Orleans), is an innovative, leading edge thinker. Amy specialized in Failure Analysis as an engineer at TriQuint Semiconductor before joining North Sails Oregon in early 2000. Not long after that, it became apparent there was a high demand for fabrication services outside the marine industry. North Winds Canvas, now Wyckam, was formed in response to that need. Due to her success in integrating modern technology using 3D digitizing, CAD design, and automated plotting and cutting, Amy has been a speaker at several Marine Fabricator Association (MFA) workshops, and was recently featured in the Specialty Fabrics Review, an industry magazine published by the Industrial Fabric Association International (IFAI). 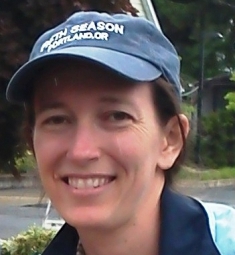 Kerry started sailing at Willamette Sailing Club in a Sunfish at the age of 12. He quickly moved into the Laser class, which he still races. At the age of 16, Kerry started racing the high performance 505 dinghy. Kerry campaigned in the 470 class for the 92′ and 96′ Olympics and was a four-time member of the US Sailing Team. Not only does Kerry enjoy improving his own sailing skills, he also enjoys coaching and helping others become better sailors. He has competed in 9 World Championships in 5 different classes. 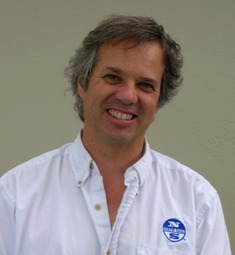 His successes include several National Championships in dinghies, and many successful big boat events as well including Swiftsure, Oregon Offshore, Larry Kline Match Racing, Whidbey Island Race Week, Tri-Island races and many more. Need to get in touch with one of us?